Campos Family Vineyards is an exquisite family-friendly vineyard. 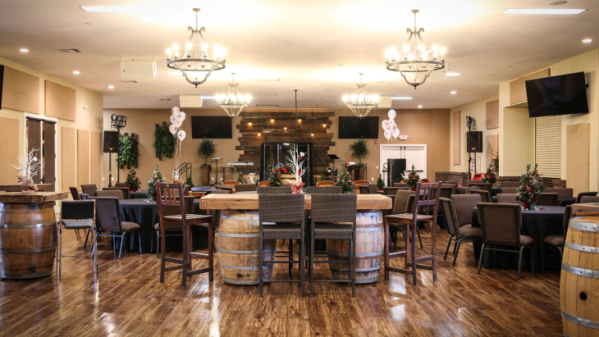 This event destination is located on 44 lovely acres complete with tasting room, event center and concert venue. The Campos Family Vineyards yields exceptional wines. The family serves as a good steward for the property. The vineyard provides a peaceful, relaxing environment that brings families and the community together. Planning a visit to Campos Family Vineyards will pay off in enjoyment. With all of the charm of Napa, Campos Family Vineyards is truly a hidden gem with easy access to Delta Hawaii. Enjoy the splendor of this unique destination getaway. It has striking landscape and glorious sunsets! For your convenience, the vineyard provides shuttles to take you from the parking area to the venue so you don’t have to walk. It’s a beautiful property that’s not on the typical wine tour, but definitely worth a visit. It definitely needs to get on your Delta Hawaii To-Do list.